Europe (6th largest continent) is home to various destinations that are the part of the wishlist of travellers.It is known for its museums, restaurants, nightlife, architecture and people are bound to take back home happy memories after visiting Europe.From Germany to France, it has various countries to visit. Some of the notable attractions of this vast continent are Big Ben, Vatican City, Buckingham Palace, Rome, Porto, London, Paris, Venice, Barcelona, Amsterdam, Athens, Vienna, Dublin And much more. Taking in consideration, availability of time and money, tourists can choose suitable Tour Packages to Europe. Europe Tourism defines summers to be the best time to visit.Here temperature varies from region to region as Central and Eastern Europe experience humidity with cool summers whereas summers are mild and winters are colder in Western Europe. With the well-connected air routes, reaching here is easy.The cities are also connected by advanced railways and roadways. Touching 3,238 m, Mount Titlis is one of the most famous and beautiful mountains which constitute the Swiss Alps. It is also famous as the site of the world's first revolving cable car-Titlis Rotair. This aerial cable car ride to the summit of Mt. Titlis offers a breathtaking views of the peaks and glaciers of the alps.Cost of any individual Airport / Seaport / Railway station transfer to joining and leaving guests. Any Increase in the Airfare / Rail fare / Cruise Charges (presently all fares have been calculated as on 1st December, 2012). Any Increase in the fuel surcharge or any kind of taxes or government sales tax levied by the respective government or statutory bodies. Any Increase in the rate of exchange leading to an increase in all land arrangements which may come in to effect prior to departure (presently calculated at 1 EURO = 65 INR). Cost of extension of the validity or deviation from the route of the tour. Cost of Insurance for any extra stay pre/past tour or if the age of the traveler is greater than sixty. Any extra expenses incurred for changing the route due to any unforeseen circumstances, forced majeure instances, natural calamities, political disturbances, strikes etc. Optional Tours/Excursions/Sightseeings and any other value add-ons unless mentioned otherwise. If any activity/sightseeing done more than once. Fur coats/Jackets that may be required or any special attire required to visit any particular sightseeing place. Any upgradation in the room category or air line class. Extra photographs clicked other than group photographs. Medicines required, if any. 6 Government Service Tax of 3.09% on the gross bill and any other Government taxes as applicable from time to time. Anything not specifically mentioned in Tour Price Inclusions:'. Detail Itinerary : The fashion capital of the world to begin your tour. You will be greeted by our Bonton Tour Manager after which you will be transferred to your hotel to recover from the jet lag. Ovemight stay at hotel. 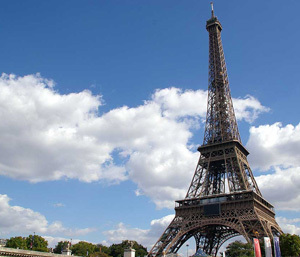 Detail Itinerary : Today, after an American Buffet Breakfast, we explore the beautiful city of Paris with a guided tour of city which includes Champs Elysees, Place de la Concorde, Arc de Triomphe, Hotel des Invatides and Gamier's Opera. We also visit the famous Louvre Museum and ofcourse the highlight of the day is the iconic Eiffel Tower, where we go as far as its 3rd level to give you a panaromic view of this romantic city! In the evening, you have the chance of experiencing the world famous shows at Lido or Paradis Latin (dress code applicable). Overnight stay at hotel. Enjoy an American Buffet Breakfast at the hotel. After breakfast, today is at your leisure to explore the sights • and sounds of Paris as well as to spend some time for shopping! You have the option of spending your day at Disney Park, Disney Studio or the famous Versailles Palace. Overnight stay at hotel. Detail Itinerary : The day begins with an American Buffet Breakfast at the hotel before you check-out of the hotel and proceed to Switzerland. We arrive to the scenic city of Lucerne in the evening and head for a relaxing Lake Lucerne GALA Dinner Cruise with unlimited Beer, Wine EL Soft Drinks. Overnight stay at hotel. Detail Itinerary : Enjoy an American Buffet Breakfast at the hotel before moving to Mt. Titlis to experience Rotair - the world's first revolving cable-car ride! Here, we also experience the thrilling Ice Flyer ride and snow slides (subject to operation). Later, we will enjoy Lucerne City Tour which includes Lion Monument, Kappetbrucke Wooden Bridge. We also have leisure time for shopping and enjoying the local scenic beauty. Overnight stay at hotel. Detail Itinerary : Today, after a relaxed American Buffet Breakfast, you have the entire day at leisure to enjoy the beautiful city of Lucerne! 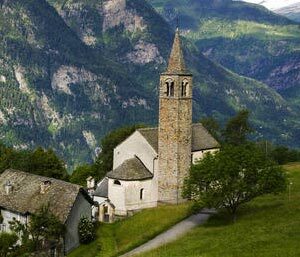 We highly recommend you to visit Mount Schilthome, one of the most pristine mountains o f Switzerland. Here, you will enjoy the world's first revolving mountain restaurant with the best view of Eiger, Winch and Jungfrau (UNESCO World Heritage), accessible by cable car. You also have the option of taking a cogwheel train trip to Mount Jungfraujoch - Top of Europe or a visit to the Trummelbach Glacial Waterfalls. Overnight stay at hotel. Detail Itinerary : After an American Buffet Breakfast at the hotel, check-out of the hotel and proceed to the airport for flight back home to India, armed with wonderful memories of a fascinating tour! Cost of return economy class airfare from Mumbai / New Delhi / region (if specifically mentioned). Hotel accommodation for the duration of the tour as per the itinerary. Cost of Insurance for persons upto the age of sixty. Coach transfers from first day meeting point of the group to the last day dropping point of the group for the tour. Services of the Bonton Tour Manager or Local Representative from first day to the last day of the tour. For Europe tours Euro tunnel / Ferry travel wherever mentioned in the itinerary. • Guide Tips, Driver Tips & Restaurant Tips. Baggage allowance of 1 piece in case of included internal flights, if any. A complimentary travel bag, cap and rain poncho.